The late Dr. Barbie J. Taylor, a well-known psychologist in the area, will be honored during a Celebration of Life on Saturday, Sept. 23, at 2 p.m. in the Lee Funeral Home chapel, 720 Buol Road, followed by a reception at the Desert Greens Clubhouse, 350 West Wilson Road. 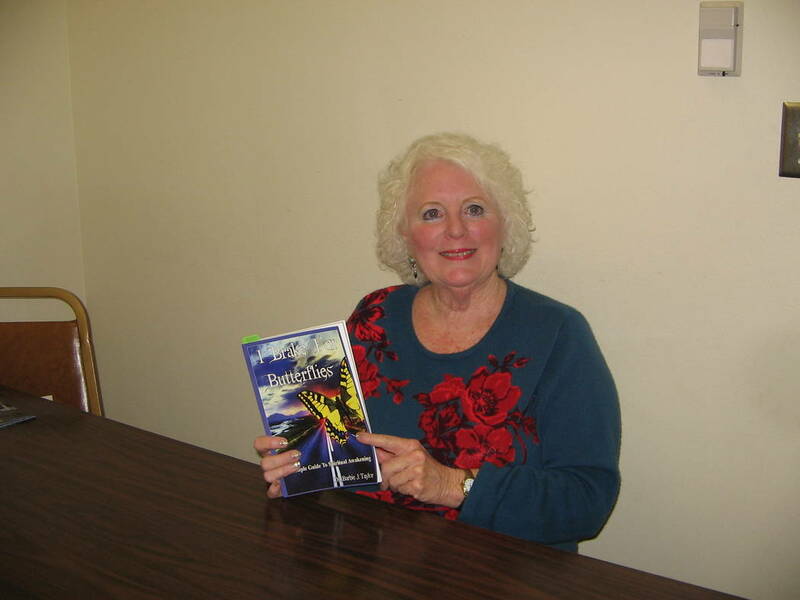 Special to the Pahrump Valley Times Earlier this year, Dr. Barbie J. Taylor's first book, "I Brake for Butterflies: A Simple Guide to Spiritual Awakening", was published. 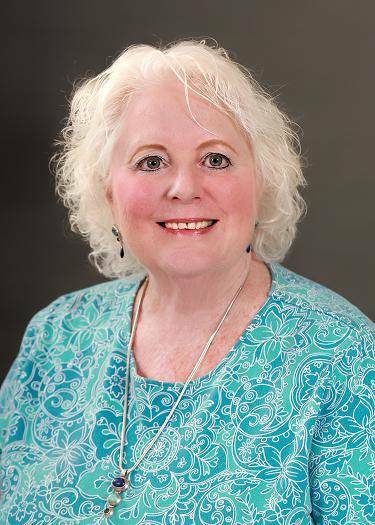 Special to the Pahrump Valley Times The late Dr. Barbie J. Taylor, a well-known area psychologist, touched the lives of many people in the Pahrump Valley. She completed a multifaceted career spanning over 35 years in a variety of settings and positions all over the country. 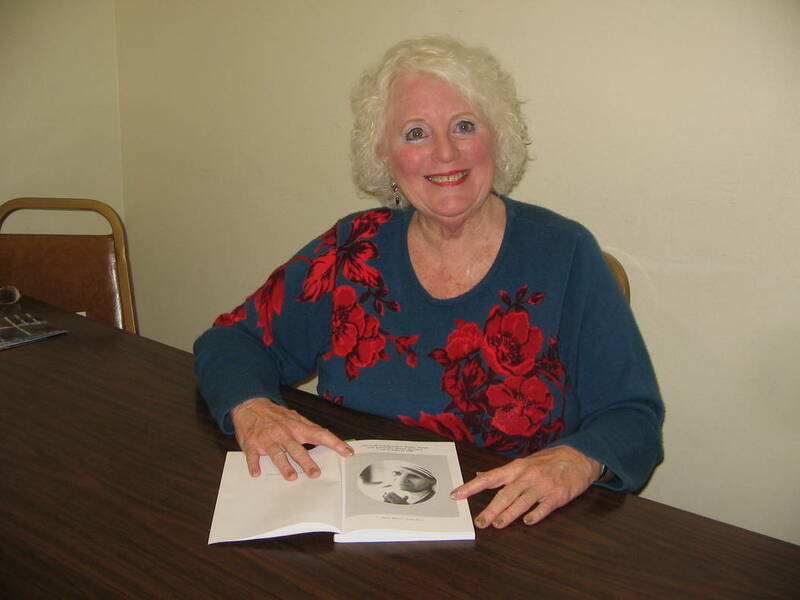 Special to the Pahrump Valley Times "Dr. Barbie, " as she was fondly known, dedicated her book to Mother Teresa after receiving a blessing in 1985 from the now-canonized saint. Following a brief illness, Dr. Taylor, fondly known as “Dr. Barbie” by friends and clients, transitioned peacefully from this life to the next, in her home on Aug. 21, 2017, surrounded by her son, Steve Taylor of San Pedro, California, and daughter, Tamalyn Taylor, of Pahrump. Dr. Taylor moved to Pahrump in 2004 and used her credentials to practice in a couple of different settings until her retirement in 2014. She was born Sept. 13, 1943, in Glendale, California, one of six children, to the late Eileen Merrill and Dr. Clarence S. Merrill. The family moved to nearby Arcadia when she was in fourth grade, where she lived during her high school years. Taylor started college at age 25, while raising her two children as a single mother. She forged ahead for 10 consecutive years in her studies, completing an undergraduate degree in psychology at California State University, Long Beach and earning a Ph.D. in clinical psychology in 1978 from the University of Washington in Seattle. Throughout a multi-faceted career, spanning over 35 years, she worked in a variety of settings and positions, such as a research coordinator at the Center for Marital and Sexual Studies in Long Beach, California, where she also started her private practice as a clinical psychologist. She later taught Human Sexual Behavior at Arizona State University and Contemporary Issues in Parapsychology at the University of West Virginia. She worked in private practice not only in Nevada and California, but also in Arizona, West Virginia and Pennsylvania. While living on the East Coast, she was a regular on television and radio and later continued her work in radio as one of the “Romance Doctors” in Irvine, California. In 1985, she was invited to New Delhi, India to present a paper at an international conference and spent six-and-a half weeks touring the country. During an interview with the Pahrump Valley Times in January, she described the trip as a “total miracle” in the way the itinerary unfolded. Dr. Barbie was part of a group that went to Calcutta to visit Mother Teresa, now Saint Teresa of Calcutta. After being told she was not available, the group went to the chapel to meditate, and the future saint appeared unexpectedly and blessed them. Dr. Taylor was able to snap a photo of her. The trip also allowed her to fulfill a long-time desire to see Sai Baba, the world-renowned, now deceased, spiritual leader in India. In another extraordinary event, she found herself seated among dignitaries and members of the Gandhi family at the one-year anniversary memorial service of the assassination of Indira Gandhi, the former prime minister. Taylor moved to Nevada in 1992, while employed as a private consultant for the Bigelow Foundation, which was funding research in parapsychology. Also in the 90s, she conducted research and worked with Dr. Steven Greer, founder of the Center for the Study of Extraterrestrial Intelligence (CSETI). That interview focused on her first book, “I Brake for Butterflies: A Simple Guide to Spiritual Awakening”, which she dedicated to Mother Teresa in tribute for her blessing. The book was republished in June and is available at Amazon.com. Steve Taylor remembered his mother as being “very adventurous”, with a love for travel. He said in 1969 she even took the summer off to hitchhike throughout Europe. In addition to her son and daughter, Dr. Taylor is survived by three sisters, Margie Atkinson, Mary Midgett, and Judy Main, all of California. She also leaves behind her beloved cat, Scruffy. She was preceded in death by her parents and two brothers, David and Bob Merrill, both of whom spent much of their lives in California. In lieu of flowers, people are asked to consider a donation to the Nathan Adelson Hospice in memory of Dr. Barbie J. Taylor.